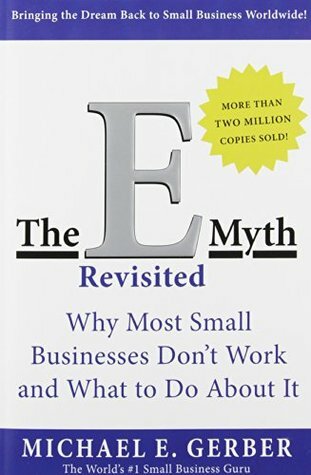 In E-Myth Revisited, Michael Gerber captures some of the greatest insights that can make a business successful. The advice given in this book encompasses all areas of business, including marketing, people, management, and systems. It is amazing how Gerber has managed to squeeze such mammoth wisdom into this short book. He shows the common mistakes made by new entrepreneurs and why most businesses fail in their initial years. By focusing on the very fundamentals, this book explains how to keep your employees motivated, consistently produce high-quality services, and automate your business. It turns the boring learning curve of running a business into a fascinating approach based on profound wisdom. This book shows you not only how to maximize your business profits, but also how to bring passion and spirit to your work. You will learn how to think like an entrepreneur and how to manage those who work for you. You will learn some secrets that are not commonly talked about. The best part of this book is that it brings structure and simplicity to an otherwise chaotic and scary business world. Once you learn the basic foundation, your business is bound to flourish. Michael E. Gerber is a true legend of entrepreneurship. Inc. Magazine called him "the World's #1 Small Business Guru." He started over 40 years ago addressing a significant need in the small business market: businesses owned primarily by people with technical skills but few business skills, and no place to go to get meaningful help. To run a business successfully, take care of three aspects: technical, managerial, and entrepreneurial. Standardize the colors, shapes, and other design components in your business. Provide a consistent service in your business or job. Write down a detailed vision for the future. Your business or job should be based on your primary aim in life. Create an idea behind your work that fuels emotional commitment.